Malka* was enjoying a peaceful cup of coffee. Lunches were made for tomorrow. The laundry was in the drier and Malka’s father had gone to bed early. She was about to reach for something to read, a rare luxury, when the bell rang. It was after eleven. Who could that be? Coffee forgotten, Malka’s heart began to flutter. She pressed the intercom button and, her voice trembling, asked who it was. The voice was hesitant, a bit embarrassed. A neighbor was just coming home from evening prayers and…She ran to open the door and there stood the neighbor with her father, dressed in pajamas, barefoot and looking very confused. Alzheimer’s. It colored every moment of Malka’s days. Black. This was her father. The one who had taught her to ride a two-wheeler, cheering loudly as she wobbled down the driveway. The one who held her arm tightly, offering emotional support ‘forever’, as he walked her down the aisle toward married life. He had always been there for her. His soothing words and practical suggestions had made all the difference. Her father. Ten feet tall and all-powerful. Now there he stood. A pitiful, old man. Helpless. Her tower of strength had crumbled. Truth be told, this wasn’t the first time. He seemed to be in his own world. He often referred to her as ‘Mommy’ and her children by the names of his siblings. He would offer to help her scrub the laundry on the washboard or shovel the coal into the furnace. 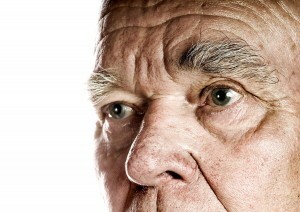 Alzheimer’s: Can this really be my soft-spoken kindly father?! The worst was when he shouted at her or her husband or the kids in such a mean, sarcastic way. He had never been like that. It hurt. Oh, how it hurt. She knew it was the disease, not really him. But each word was excruciatingly painful. She tried to help him but felt so inadequate. Malka’s case is typical. There are 130,000 cases of Alzheimer’s in Israel, many of them being cared for by relatives. Relatives who are in desperate need of help. As part of the goal to provide suitable responses for dementia-patient caregiving relatives, Ezer Mizion Tzipporah Fried Alzheimer Family Support Center runs support groups and workshops. In these groups, the women have an opportunity to learn about the disease and ways of coping with it, drawing from the experience of the group facilitators and the other women in the group. The group serves as a “safe” place for engaging in discussion and bringing up the many emotional challenges that come with caring for the ill relative. At times, it is the only setting where caregivers feel secure and are able to speak openly about their struggles. 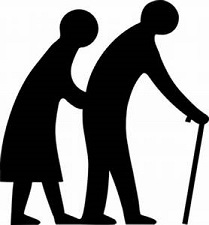 In addition, as part of the support system for caregiving relatives, music, physical fitness, art, and therapeutic gardening workshops are available, with a double goal: To provide women with a pleasurable experience and a hiatus from the draining role as caregiver for their sick relative and to offer simple, easy-to-implement tools for working with the patient at home. Our goal? To provide a supportive response and personal relief for women caring for a relative with dementia, empowering them as caregivers and strengthening the sense of self-worth in this excruciatingly difficult period of their lives.